Surprise! People work harder for themselves and their families than they do for you. Lots of sales managers ask us for help with “motivating the team.” The advice we offer sometimes surprises them. Motivating salespeople is not holding a pep rally. Motivating salespeople is not putting up a poster with an inspiring phrase and a compelling photograph of an eagle or a waterfall in the employee lounge, then walking away. Motivating salespeople is not passing around a flyer with the details of the latest sales contest, and not bothering to check who’s actually interested in winning the thing. 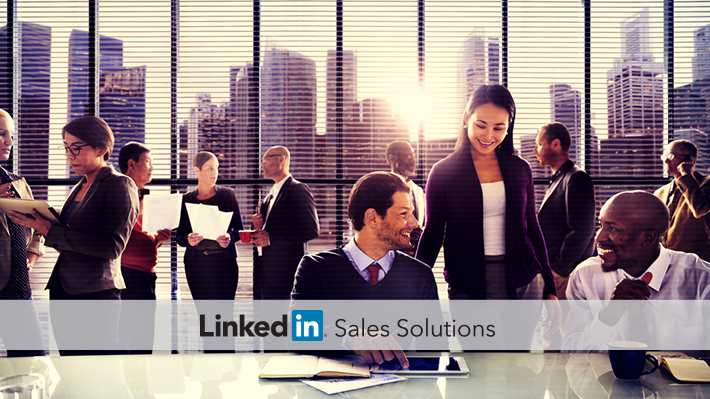 Contrary to what most sales managers believe, motivating salespeople is personal. It happens one person at a time. One of the sales manager’s most important jobs is identifying and leveraging internal motivators for each member of the team. This is the real job. All too often, though, this job is only partially completed, or it is ignored altogether. A critical Sandler selling rule states: "People buy for their reasons, not ours." The same principle holds true for the salespeople we manage. They show up at work each day for their unique reasons - not ours. And if we want to motivate someone to perform, it is our job is to find out what each person’s unique reason for achievement is. That may sound like common sense, but in our experience, it is the kind of common sense that sales managers routinely overlook. Most of the managers who reach out to us have no idea what motivates a given salesperson on a personal level, and many of them assume that everyone on their team will be motivated by the same thing, money -- which is hardly ever the case. Human beings are complex, and salespeople are no exception to that rule. If you want to find out what motivates someone on your team, there is only one way to do it: build up a trusting relationship with that person, and then take the time to engage in a series of meaningful, attentive discussions about what's most important to him or her. Once the two of you identify their primary motivator (your salespeople will often need some help putting it into words), you can create a personalized incentive that motivates that individual. Not before. It’s true that the process of figuring out what motivates a certain salesperson does require an investment of time and attention up front – but this investment pays off handsomely, and it ends up saving you time, effort, and energy in the long run. It wasn’t. As a result of a series of patient, one-on-one conversations, Juan eventually learned that Jack wanted to be able to buy a nice diamond ring so that he could propose to the woman he hoped would become his fiancée. Once Juan heard about that, the conversation got a lot more interesting for both of them. Juan started asking questions that got Jack’s attention and interest. What kind of a ring did Jack have in mind? How much would it cost? By when did Jack want to pop the question? That conversation was the turning point. In less than a month, Jack’s performance plateau was a thing of the past. Suddenly, he was managing his own time better and consuming less of Juan’s time. Jack beat his quota that quarter! What’s important to notice here is that the right incentive only emerged because Juan had the patience to keep asking inquisitively about what was going on in Jack’s world – something most sales managers don’t do. That persistence paid off. Being able to buy a nice engagement ring was a goal that mattered, and Jack’s pursuit of it led to critical changes in behavior, attitude, and technique. Notice, too, that money played only a supporting role in this story. Jack's turnaround happened when Juan identified something money could do for Jack. We find that many of the most powerful potential incentives for salespeople - recognition, for instance - have very little to do with money. The moral of the story is a simple one: People will work harder for themselves and their families than they ever will for you. Think of each salesperson who reports to you as a one-of-a-kind puzzle. Every interaction you have with that person is an opportunity to solve that puzzle. As you take on the challenge of breaking the “code” that will motivate an individual salesperson, we invite you to consider the possibility that "How do I motivate my team?" may be the wrong question. For sales managers, a better question might be: "What does this person want from life?" Looking for a few more tips on how to understand and motivate your reps? Then check out The Sales Manager's Checklist.